While the Reform Party had its nomination papers up on the board well before the deadline at noon, Prime Minister Lee Hsien Loong's Ang Mo Kio GRC didn't have its papers up on the board until it was just five minutes before the clock struck 12. So yes, we still have a prime minister. And he will be challenged by Reform Party's candidates who include Mr M. Ravi and Mr Roy Ngerng, who was successfully sued by Mr Lee for defamation. In the 2011 elections, both the independents who put in their papers during Nomination Day, namely perpetual 'candidate' Ooi Boon Ewe and Zeng Guo Yuan aka Parrot man, were not able to successfully get through the nomination process. This year, however, the real surprise was that there were two independent candidates who turned up - and both were successful. They are Mr Samir Salim Neji, (below) 45, a businessman, who will be contesting against the People Action Party's David Ong and the Singapore Democratic Party's Sadasivam Veriyah in Bukit Batok SMC. Another surprisingly candidate? Blogger Han Hui Hui (below), whose papers were up on the board at 11.30am. Aljunied GRC MP Low Thia Khiang turned up at the nomination centre at Raffles Institution to a lot of fanfare - including a media scrum and many supporters. But there was no one he needed more by his side than his wife, Madam Han Mui Keow. When he was walking to the centre with his team members and supporters, he realised that his wife was no longer with him. Mr Low said: "Where's my wife? She's not here". He then proceeded to call her. He didn't go into the centre until they were reunited - to cheers from the crowd. 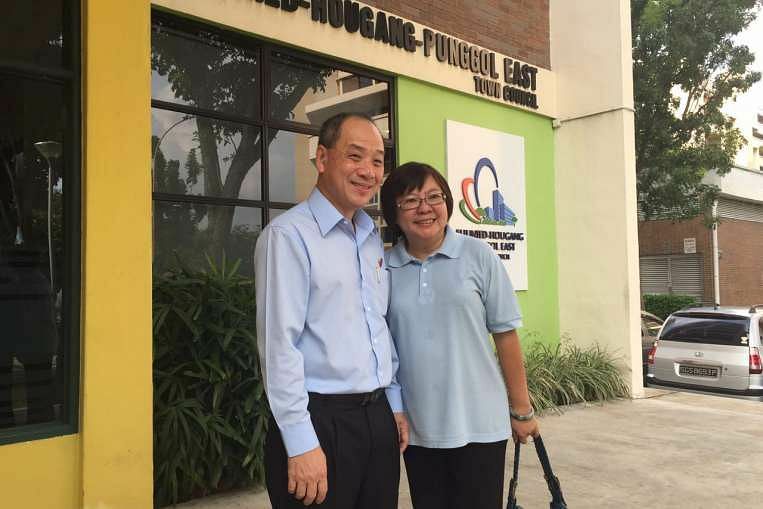 Meanwhile, opposition veteran Chiam See Tong was at Kong Hwa School to support his wife Lina Chiam, who will be running in Potong Pasir SMC. If you were at Raffles Institution, you would be forgiven for mistaking it for a National Day event. People's Action Party members were singing National Day songs like Home and We Are Singapore. And they even came prepared - with a song sheet containing the lyrics. Note to all contesting candidates. When you are uging voters to vote for you, make sure you don't name the wrong party. That's exactly what Reform Party candidate M. Ravi, who will be challenging PM Lee's team at Ang Mo Kio GRC, did. He ended his rousing speech with: "Vote for PAP" before quickly correcting himself by saying Reform Party. Loud jeers came close to drowning out the Bishan-Toa Payoh GRC MP's speech, but he didn't back down. It only made him more fired up as he said: "Even if you jeer against us, we will improve your lives... And the more you jeer, the more we will continue to improve it even more," he said. A 90-year-old woman turned out to support SDP at Assumption Secondary School. And Mr Afian Mustafa brought his sons to support Workers' Party at Fengshan Primary School. One is just four-months-old and the other is four.